Jimin, a BTS member, topped the list of individual brands of Boy Group in January 2019. 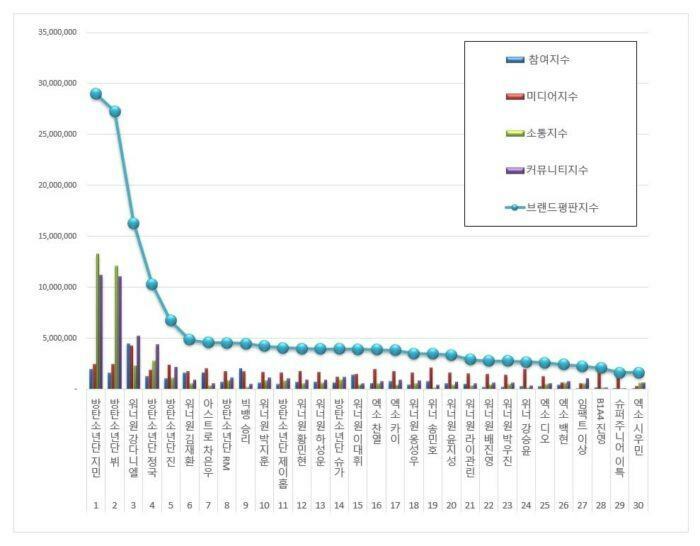 To analyze the big data of the individual brand reputation of boy groups, Korean Business Research Institute analyzed the brand evaluation index of the groups from December 11, 2018 to January 12, 2018 by extracting 231,565,877 big data from 476 boy group individuals and making a consumer analysis of the individual brands of boy groups. Why is HyunA never loved by netizens like Sulli while they are both rebellious?